The calculator uses net cumulative cash flow to help decide whether investing in pasture improvement is affordable. This method calculates when peak debt occurs, how long there may be a negative cash flow and how long before the investment has paid for itself. Improvement costs – full contract costs or doing it yourself. Your time and diesel is worth something! Finance costs – if you are borrowing the money, what will it cost you? Maintenance costs – making improvements may require higher maintenance costs such as more fertiliser or weed control. Impact of the improvement – you need a realistic estimate of what impact the improvement will have. It may be to increase stocking rate (by how much and by when) and/or it may increase per head stock performance such as heavier weaning weights and better reproduction leading to higher enterprise returns. Increasing stocking rates – if the improvement leads to an increase in stocking rate then the cost to do this needs to be included. 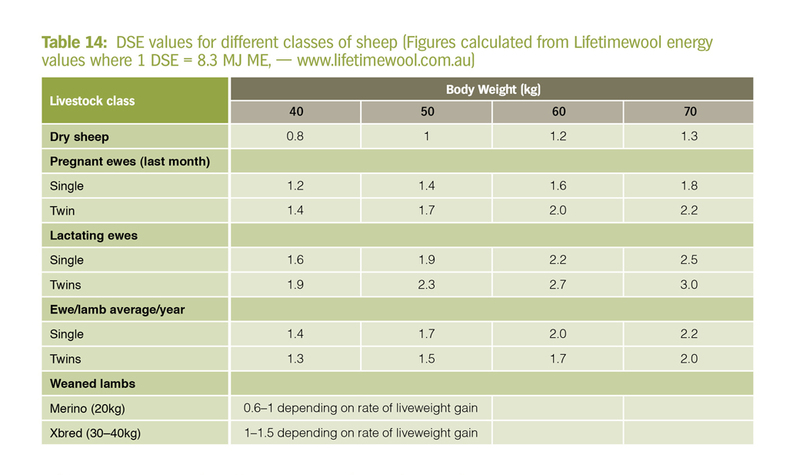 If stock need to be bought to do this, how much would they cost as dollars per DSE (dry sheep equivalent). If stocking rate is increased by retaining stock then what is the lost income? Enterprise returns – to get an estimate of the returns from the improvement, you need an idea of your long term average enterprise returns (as $/DSE) and whether the improvement will improve this (and therefore by how much). As a guide, long term enterprise gross margins from regional benchmarking studies may be helpful. Examples can be found for Victoria in the Victorian Livestock Farm Monitor project as well as the Costs and Returns used in the Victoria EverGraze case studies. How long will the pasture last – hopefully most well established perennial grass pastures will be around for a long time. Some will require more frequent sewing, like lucerne, so you would need to know how long this might be for your circumstances. Secondly the calculator provides some measures of the value of the investment, which can be used to decide whether it is worthwhile or whether money would be better invested elsewhere. These measures are the Internal Rate of Return and Net Present Value. These values are useful when considering different options for investing and if you are interested in better investments. You need to set a Discount rate. This is the minimum rate you are prepared to accept as a return on your money. Consider what rate you could get if you invested elsewhere (for a similar length of time and similar risk). You will need to know the Salvage value – an estimate of the value of your improvement at the end of the time period you are considering. Enterprise change – a change in pasture quality and supply may be better utilised by changing enterprise and provide better returns. Risk – how risk averse are you? If an improvement leads to doubling the stocking rate will this make you more susceptible to poor seasons? Is pasture establishment risky in your environment? You can include this as cost in the calculator or make a judgement as to whether the return is worth the risk. Environmental benefits – are there environmental spinoffs such as better ground cover and better water quality? These are hard to quantify but may be significant. You can put a dollar value in the calculator, or you might consider that a lower return than ‘ideal’ is acceptable because of these benefits. Labour and infrastructure – will the improvement mean you need to work harder or longer (or less) or require spending more on improving other infrastructure? For example, increases in stocking rates may require more labour and an upgrade to the stock yards. Improving one paddock is unlikely to be totally responsible but may need to be considered as a proportional cost if investing on a larger scale over time. To help you on your way, an example of Using the Pasture Improvement Calculator is available.